You’ve come to the right place to learn more about some of the products you can take home to stay connected to this magical place. We’re excited to launch this program after months of planning. Hundreds of people in the community helped develop this program, which exemplifies the spirit of collaboration, creativity and entrepreneurship inherent to the Methow. Please let us know what you think, and check back often for news about new partners, retail locations, tasting events and more. 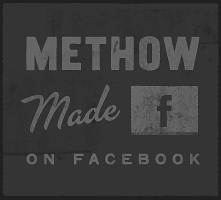 Posted on June 10, 2013 by Methow Made.